Below please find the spring league playing formats as well as answers to some frequently asked questions. NorCal will continue to require one referee for all small sided games (both 7v7 and 9v9) in all 2016 spring events. NorCal recommends the use of one referee for all 7v7 and 9v9 games, but those clubs who wish to provide 3 referees for matches are free to do so. In US Soccer's Player Development guidelines a build out line 14 yards from goal in all 7v7 games is required. NorCal believes that implementing this rule consistently presents many logistical issues, not only for clubs but also for referees. Therefore NorCal WILL NOT implement the build out line rules for 7v7 matches this spring. Along with the new player development initiative, US Soccer recently released new rules with regards to head injuries in soccer. Part of those new rules was the banning of heading the ball for all players 10 years old and younger. 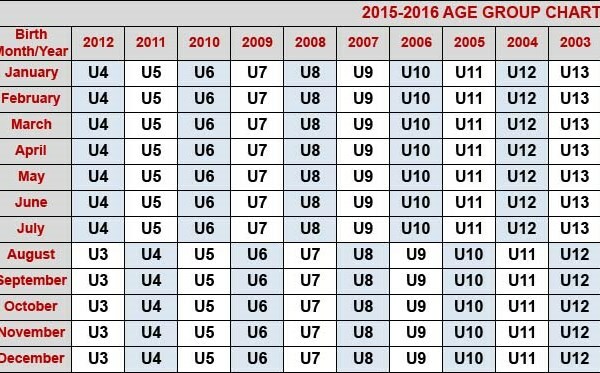 To ensure that NorCal is in line with the latest recommendation, we will be implementing the no heading rule for all U11 (2005 birth year this spring) and below players. Please see below for the specifics of the new rule. In addition, NorCal will be following the head injury protocol recommended by US Soccer for all events moving forward. More information on in game head injury protocol as well as resources for clubs and coaches will be made available shortly. When a player deliberately heads the ball in a game, an indirect free kick (IFK) should be awarded to the opposing team from the spot of the offense. If the deliberate header occurs within the goal area (6 yard box), the indirect free kick should be taken on the goal area line parallel to the goal line at the point nearest to where the infringement occurred. If a player does not deliberately head the ball, then play should continue. Be generous when you win and gracious when you lose. Always be fair, no matter the cost. Accept the decisions of officials with grace. Attempt to relieve competition stress, not increase it. A child is easily affected by outside influences. The opponents are necessary friends; without them, your child could not participate. Please keep in mind that parental attitudes at games toward your child, the opposing team, the officials and the coaches influence your child's values and behavior in sports. Sometimes overly anxious parents, bent on immediate success rather than long-range benefits, criticize officials and opponents and show disrespect. This inappropriate behavior devalues the sport and creates unnecessary stress for the player. It is not in keeping with the spirit of the game.